White oak is a tree which is native to parts of North America and England. If you have ever been looking for a native medicine, you might have come across the white oak bark. Of course, during the early days when you and I were not there and doctors were rarely found, people relied on herbs such as the white oak bark. Some of us do not like the idea of visiting the doctor all the time. It can be tiresome and all you will receive is a medicine which you do not like and you need to finish the dose. An alternative to all these problems is the herbal medicine such as white oak bark powder. The white oak bark is used to treat various illnesses. White oak bark forms a very important part of herbal medicine since it is used to treat stomach problems and other naturally occurring wounds. It is also a great natural remedy and this is the main reason it is used as a supplement. In this article, you are going to learn all you need to know about the white oak tree bark. If you have been seeking information about this bark, you are in the right place. Quickly, let us get started. How Does the White Oak Tree Bark Work? The white oak tree bark contains substances known as tannins that play a great role in the treatment of inflammation and diarrhea. It also contains iron, zinc, magnesium, glucose, calcium, manganese, potassium and quercetin. Oak bark has numerous benefits. In this article, we are going to review a few of the white oak bark benefits. One of the common reasons why white oak tree bark has remained popular is due to the antiseptic properties it contains. This bark contains around 15-20% tannins which act as a great binder that lives in the body tissues. It is used to prevent the internal and external illnesses since it can easily combat all the bacteria and pathogens found in the human body. It can also be used as a supplement to fight the vaginal and urinal tract infections affecting most of the young people. White oak bark is available in the form of capsules and one can take it in the form of tea. White oak bark was used by the native Americans as a diuretic drug. The herb stimulates the bladder to produce extra urine. As such it plays a great role in releasing the toxins found in your body. This bark can be used by the people who have bladder problems and they are seeking for a way of resolving all the issues without using any chemicals. It can also be taken to improve the health of your bladder. It eliminates common bladder illnesses such as kidney stones and many others. Tannins located in the white oak bark tree can be used to flush out the bacteria and parasites within your body. 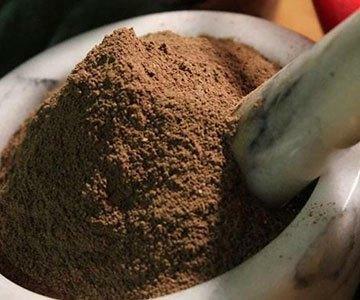 White oak bark powder can be used to kill the adult worms inside your body and due to its diuretic property, the killed substances will be expelled from the body through the stool. White oak bark can be used externally to protect your skin. It can also be used in the treatment of inflammations on the skin due to a bee sting, bug bites and cuts. Minor illnesses and burns are easily treated using white oak bark. We all know toothpaste but just imagine the time when toothpaste was not yet invented. How did people take care of their teeth? Of course, we cannot say that people did not keep their teeth clean. They did all they can to make sure the teeth are clean and they heavily relied on the white oak tree bark to treat different oral infections. Other dental issues treated include gingivitis, sores in the mouth and toothache. White oak bark can also be used as a mouthwash. You only need to put the white oak bark in a glass of warm water and allow it to cool before taking it. You can take it on a daily basis if you are looking for the best way of taking care of your teeth without using toothpaste. White oak bark can be ground into powder and dissolved in warm water then taken as astringent. This is important when you need to avoid bleeding, secretions or any other discharge. Astringent works by making the vessels involved to contract and prevent the fluid from passing through thus preventing the secretions and discharge. It is also good to note that white oak bark does not necessarily treat the given disorder but what it does is the prevention of the leakage. But it is only a temporary treatment of the associated symptoms. It is used in this manner to stop diarrhea, menstrual flows that are heavy, nose bleeding and vomiting. We all experience respiratory problems in the form of flu during winter or any other time. White oak bark supplement can be a great solution to that cold. It can be effectively used to treat various challenges affecting the respiratory tract. It is taken through inhalation. How Can You Take White Oak Bark? 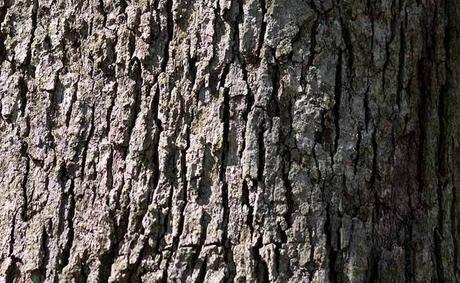 The white oak bark is available in different forms. Liquid Extract– The strength of the white oak bark when taken with water can vary greatly. However, it is served with around 30-60 drops of the diluted water. Paste– It can be mixed with water and flour to make a special paste used in treatment of bee stings. Decoction– It can be made into tea and be used as a tropical wash.
You can also apply the powder directly on your skin to prevent common skin infections and treat all the wounds on your skin. It works by forming an antiseptic layer on the wound leading to quicker healing. The method of treatment will depend on the part that needs treatment. If you want to treat an internal problem, you can use the liquid or the tea. If you are in a rush, taking the extract would be the best option. It can also offer immediate relief given that it will give you a concentrated dosage. An extract is also portable meaning you can carry it wherever you are going. It is also used to stimulate the brain and boost memory. Many athletes use the substance to heal their injuries. When it comes to the right dosage for white oak bark, it can depend on a number of factors such as the age, health status, and other conditions. There is no scientific information on the right dosage for the white oak tree bark. However, this does not mean that you take natural products without seeking the appropriate dosing. Here is the recommended dosage of white oak bark. It is ground into powder and inhaled to treat tuberculosis. If you need to use it in the treatment of diarrhea, you should use one ounce of the bark in a wineglass for a period of 3-4 days. To treat sore throat, you will use one ounce of the bark in boiled water. Garlic can also be used. There is no recommended dosage for the children since it is not recommended for use. Just like any other supplements available in the market, white oak bark also has its side effects. This bark is a natural herb and it is organic which makes it possible for people to consider it safe for usage. 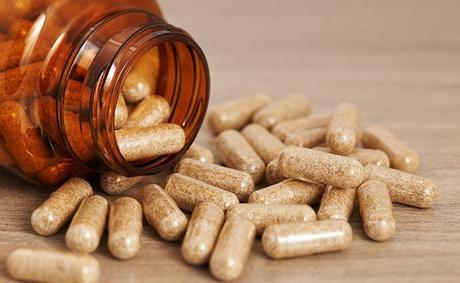 To avoid any side effects associated with the usage of white oak tree bark, make sure you pay attention to the dosage and instructions given on the label. The longest period you can consume white oak bark should be for two weeks. When you are using it to treat different conditions its usage can differ. For example, when you are using this bark in the treatment of diarrhea, you should only take it for three consecutive days. When you take a higher dosage of the white oak tree bark extracts, you will experience some side effects. Damage of kidney when taken in an overdose. Avoid using oak bark tree if you have heart problems. To be on the safe side, avoid using white oak bark when pregnant or when you are breastfeeding. Avoid taking white oak baths if you have a skin condition such as eczema or large areas of skin damage. If you are suffering from hypertonia which leads to overly tight muscles, avoid using this bark. It can make the condition to become worse. When you are having a fever or any other infection, avoid using the white oak bark and instead consult the physician before you begin taking it. There are also concerns that the usage of this bark can cause kidney problems. It is good to make sure you are always paying attention to the right dosage of white oak powder. According to scientific study, plants which have at least 10% tannins can cause dead tissues in the liver leading to liver dysfunction. The tannins found in the white oak bark can also have negative effects on the kidney. If you are suffering from renal kidney or any liver illnesses, make sure you use this bark in a cautious way. In countries such as the US, white oak bark is labeled as ‘generally safe’. It can be taken orally or applied on the skin. White oak bark has also been approved by the German Commission for usage in the treatment of diarrhea and resolving skin issues. The white oak tree bark is indeed a great natural remedy which can be used in the treatment of various illnesses. It has got a long history of use in many cultures and nations for a long period of period of time. Most cultures in North America use the white oak bark tree as an herb treatment for various infections given that it is the natural habitat of white oak. The use of herbal medicine is becoming prevalent today as people seek alternative ways of resolving their illnesses. Modern science is also recognizing the use of herbal medicine such as white oak bark due to the ingredients found in it. The most common ingredient found in the white oak tree bark is the tannins used in different ways. Before you supplement your intake with white oak, always make sure you have consulted your physician or doctor. The information you will obtain will help you in making the appropriate decision on how you should take white oak.